The Android 5.1 Lollipop-based tablet comes with dual-SIM slots. The highlight of the tablet is it supports 4G LTE connectivity on one SIM while the other can support 3G or 2G. The Penta T-Pad Ultra 4G features a 7-inch (1024×600 pixels) IPS display. Under the hood, the tablet is powered by a 1GHz single-core processor coupled with 1GB of DDR3 RAM and 8GB of built-in storage. Unfortunately, the company has not detailed whether the tablet supports expandable storage. It sports an 8-megapixel rear camera and a 5-megapixel front-facing camera. Apart from SIM support, other connectivity options include Wi-Fi, Bluetooth, OTG, and Micro-USB. The tablet will be available in Blue, Grey, and Red colours. It features a 3000mAh battery. 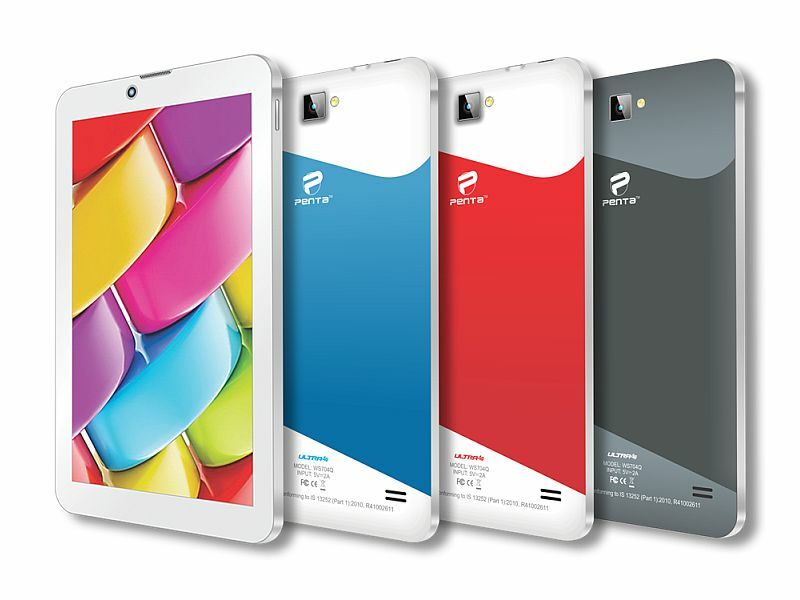 Notably, Pantel had earlier this month launched the Penta T-Pad WS802Q 3G tablet priced at Rs. 6,999, similar to the new Penta T-Pad Ultra 4G. The Penta T-Pad WS802Q 3G tablet features dual-SIM support with 3G network compatibility like the previously launched Penta T-Pad WS704DX. It comes with an 8-inch IPS display offering a resolution of 1280×800 pixels resolution. There is a quad-core processor under the hood clocked at 1.3GHz coupled with 1GB of DDR3 RAM. It also comes with 8GB of inbuilt storage which is expandable via microSD card (up to 32GB).